When it comes to security tools security and reliability are the key factors because you entrust these tools with sensitive information. Virtual Private Network is one of those security tools which secures your online identity and Internet data over the web. A few days ago we published an article on Why is VPN necessary for Torrenting? Which was well received and our users enquired about which ones are the best VPN services because they are concerned about their personal information. Since there are many VPN services available in the industry; it raises a question of reliability and security among companies. In this article, we will discuss which VPN services are in demand, key factors that make a VPN service reliable, and explain the features of best VPN services. Every VPN service in the industry offers two basic functions i.e. Encryption and IP cloaking. What separates the best VPN service from the rest is the exclusive features it has on offer. We are listing some of the exclusive features of these reliable VPN services. The company is focused more on ‘Security’ and has some of the best features a security tool could have. Not only does it’s SSL secured servers are optimized for Streaming and P2P but also protected with Anti-DDoS security. NordVPN has special TOR-over-VPN servers which give you the power of TOR over a VPN service for strong security thus it removes the need of a Tor browser. Moreover, if you feel that the TOR speed is slow but still want dual security then it also offers another function VPN-over-VPN named DoubleVPN. Related: NordVPN is on 72% off Winter Sale as a limited time offer. You can grab 2 years subscription in the price of one year and as low as $3.29 per month with 30-day money back guarantee. If you prefer mobility and your work is more mobile dependent then you can use their latest mobile security protocol IKEv2 which intelligently monitors the behavior of any network change and adapts to that changes without crashing the VPN connection. The software client has a built in Network Lock or Internet Kill Switch which halts all the Internet traffic in case your VPN connection gets disconnected thus preventing your real identity from being leaked. The company is focused more on ‘Performance’ and has the most enhanced SSL secured servers in the industry. The service keeps on updating and installing new server locations each week so that its users gets 99.9 percent server uptime. It also has an active customer service with complimentary Live Chat support to match such performance. Related: ExpressVPN is on a 36% discount sale for a limited time. You can grab 1 year subscription for as low as $8.32 per month with 30-day money back guarantee. ExpressVPN is a traditional VPN service but focuses more on providing better user experience. For example, it has a simple and easy to use software client with built-in functions Internet Kill Switch, Speed Test, and Smart Location which selects the best possible server depending on your connection. If your work is dependent more on Point-to-Site Network (typically used in Windows Azure) then ExpressVPN has a support for SSTP security protocol. The company is focused more on ‘Innovation’ and has some of the best innovative features in the industry. Not only does it’s SSL secured servers are optimized for Streaming and P2P but also protected with Anti-DDoS (paid) and NAT firewall (paid) security. PureVPN has a special Split Tunneling function which give you the benefit of multi-tasking by separating the Internet traffic into ‘encrypted‘ and ‘unencrypted‘ traffic. Related: PureVPN is on 78% New Year sale as a limited time offer. You can grab 2 years subscription in the price of 1 for as low as $2.45 per month with a 7-day money back guarantee. If you are a Windows OS user then the Virtual Router function allows you to convert your laptop or desktop into a virtual router and use it to connect up to 10 more devices. The software client has Internet Kill Switch an automatic Smart Purpose Selection function, with just a click of a button i.e. Streaming, Security, Surfing, etc. to give you a personalized experience. Private Internet Access is the leader in traditional VPN services. It has SSL secured servers optimized for streaming and P2P file sharing. If you are a occasional VPN user then PIA VPN has most attractive pricing plans in the market. Related: Private Internet Access is on 52% discount sale for a limited time. You can grab 1 year subscription for as low as $3.33 per month with a 7-day money back guarantee. The software client is simple and easy to use and has a built-in Internet Kill Switch and an Ad blocker which blocks ads, malware, and trackers. If your work is dependent on proxy then Private Internet Access offers Socks5 proxy. 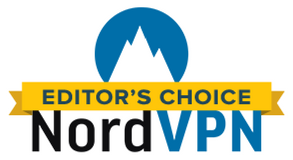 Ivacy is the second most ‘innovation’ driven company in the VPN industry. Not only the company is the center of traction because of its most affordable prices but also with its innovative features. 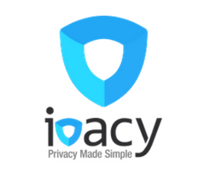 Ivacy VPN offers a smart DNS add-on to prevent DNS leak and route all your Internet traffic through its dedicated DNS servers. Its software client is easy to use and simple with the functionality Internet Kill Switch and Split Tunneling to separate your Internet traffic into ‘unencrypted’ and ‘encrypted’ to allow you to multi-task. The servers are secured with SSL technology, IPv6 protection, and optimized for streaming and P2P file sharing which help you to bypass most of the regional restriction of websites. Which Key Factors Make A VPN Service Reliable? There are various key factors that you should focus on while opting for a VPN service. There are many free VPN services which log your Internet activities and allow third parties such as advertisers and government surveillance agencies to access your sensitive information. Or some paid VPN based in the surveillance state such as the United States are liable to follow the rules. A reliable VPN service should strictly follow the Zero-Log policy which means that their VPN servers are not allowed to log any web activity (e.g. time stamps, URLs, cookies and etc.) It is OK if the service uses some impersonal connection logs for data usage and connectivity timings to maintain their service. Whenever you conduct an online financial transaction, your details are stored in the company’s database which can be traced back to you anytime. Bitcoin is an anonymous payment method which allows people to conduct their online transactions securely and anonymously. Here is a guide on How To Buy Bitcoin. To avoid storing sensitive information in their database; a reliable VPN service should offer a Bitcoin payment method to keep its user’s information anonymous and untraceable. Not only Bitcoin would help you buy VPN anonymously but also helps with other online purchases as well. Some services and websites are separated into geographical locations and restrict Internet users from bypassing these geo-restrictions by actively blocking VPN servers. Reliable VPN services should have widespread VPN servers in PRIME locations to not only bypass the regional restrictions but also manage the populated traffic of Internet users. Q – What is Virtual Private Network or VPN? A Virtual Private Network is a technology that connects two remote computers over the web using a private connection. That private connection is sometimes referred to as – Tunnel – that is encrypted using several encryption algorithms. The technology came from the corporate environment where clients (employees) connects to a host (corporate network) to work from remote locations. Since the connection provides privacy on the web, many commercial VPN services are providing VPN servers to allow customers to access the Internet privately. Q – How does VPN secure my data? When you subscribe to a VPN service, it provides you with a software client that facilitates a secure and private connection between you and the remote VPN server(s) scattered around the world. The data that transmits between you and the server is then encrypted using different encryption algorithms and protocols. Q – Is VPN legal? Yes. VPN is legal to use because the technology provides security to a corporate network, and protects your data from harm. Q – Does VPN prevent ISP from monitoring my data? Yes. Since VPN encrypts your data with encryption algorithms such as 256-bit AES, your ISP cannot monitor your Internet data. Q – Does VPN prevent untargeted government mass surveillance? Yes. For the same reasons described above, VPN Tunnel encrypts your entire Internet session from your device to the VPN server. Q – Is it OK to trust VPN service provider? Q – Can I use VPN for Streaming blocked channels? Yes. You can use VPN not only to access geo-blocked websites but also stream content of blocked streaming services such as Netflix and Hulu. You can follow our guide on Best VPN for Streaming. Torrent VPN: Why Is VPN A Necessity For Torrent Users?